Critical opinion on a Rohit Shetty film may vary wildly, simply because it is a masala entertainer where one expects the magic on screen, the magic of entertainment, albeit, sans rationality, and that is where the opinions differ. Some may find "Simmba" silly to a point but overall, most would agree that this film is pretty good, artistic and a bonafide comedic masterwork; produced as a matter of form but not-without-its-innovations and pleasures. The film is about a cocky, orphan Sangram Bhalerao (Ranveer Singh) from Shivgad, who grows up to be a corrupt police officer. It is his journey from being a bad man-of-the-law to a good one. Picking up nuggets from real life events, the film mirrors society. If the first half is light and frothy that evokes constant laughter, the second half is equally intense and serious. It delivers middle-class life lessons in a blatantly effective manner. What really engages you in this over-stretched film are Rohit Shetty's characteristic melodrama and over-the-top comedy, fast-paced action sequences, witty dialogues replete with puns and spontaneous performances by its ace cast. 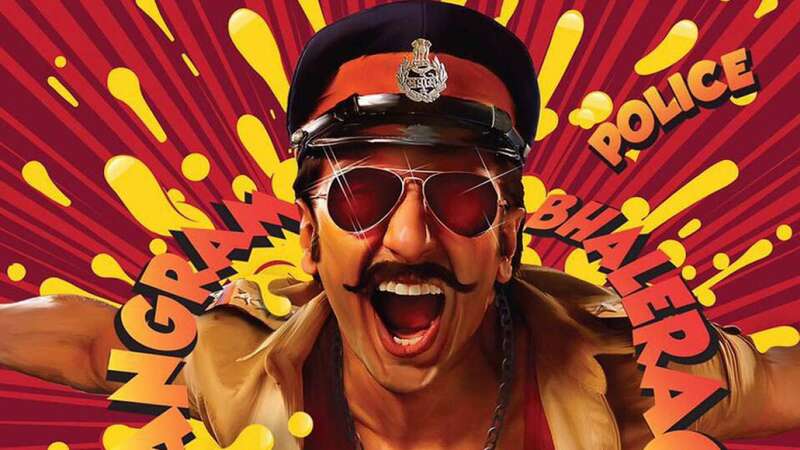 Ranveer Singh as Sangram Bhalerao aka Simmba is the lifeline of the film. He carries the burden of being the corrupt police officer squarely on his shoulders and he portrays Sangram effortlessly. He is charismatic and charming as he forges new relationships or draws horns with the antagonist Dhruva Ranade (Sonu Sood). His cockiness hits an all-time high when he tells Dhruva, "Je mala mahit nahin, te mala sangh," which means, tell me something, I don't know. Sonu Sood as Dhruva Ranade is formidable. He has his moments when he shines but is not outstanding. With a miniscule role as Simmba's love interest, Sara Ali Khan is lost in the narrative. She hardly has anything to do in the film. Ashutosh Rana as the righteous head constable Mohile is intense and Siddharth Jadhav with an expressive visage as Constable Santosh Tawde is comical. The rest of the supporting cast deliver sincerely. The script loosely adapted from the Telugu film "Temper", is actually a spin-off of Shetty's previous franchise, "Singham". What's commendable about the script is how the writers have effortlessly weaved in "Singham" into the narrative. So you do get to see a good chunk of Ajay Devgan delivering his distinctive action stuff. The film has ace technical values with excellent production values, brilliant cinematography, skilfully choreographed action sequences, fine editing and intensely dazzling background score. The songs mesh seamlessly into the narrative. They are melodious with catchy tunes and are well picturised. While the film ends on a high note with the criminals being condemned, no matter how sentimental and selfless the reasons behind it, a crime is a crime, and covering it up implicates everybody in the corruption and that's where the thinking classes' opinion differ - Singham appears flawed. But overall, "Simmba" shines and the film is worth your ticket price.